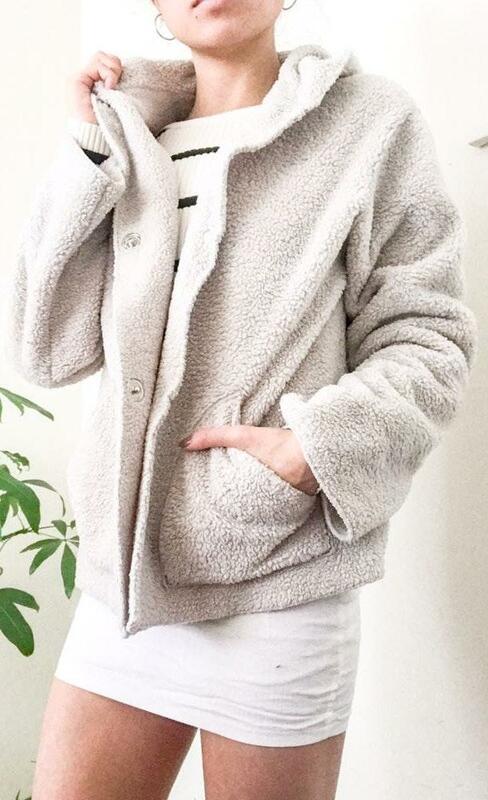 Cream teddy coat. Super soft and comfortable. Not a super thick coat but still warm. Snap closure. Nothing wrong with it, I barely ever use it! Use code ZOAJ for $5 off your first purchase! May also fit some larges!